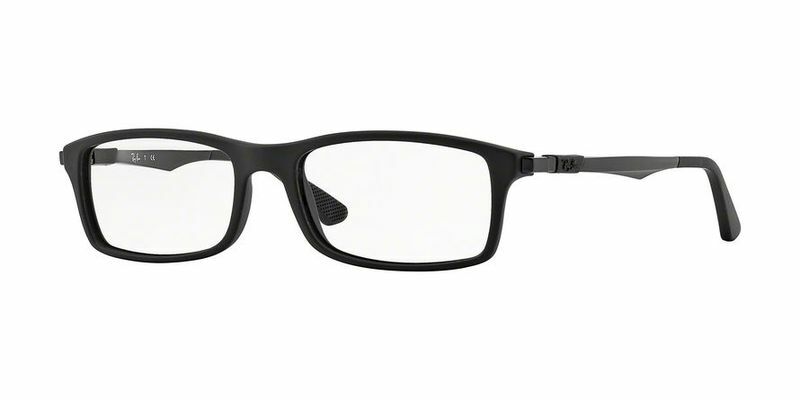 These full rim Ray Ban RX7017 eyeglasses are perfect for the college student. Transform your look and go from geek to hipster in a matter of seconds depending on where you are, whom you're with, and what you're wearing. Rectangular glasses can bring about many sides of your personality from the more serious professional side to the sporty carefree side. When it comes to versatility these are the perfect glasses to showcase your true character no matter what the occasion is. Best suited for those with rounder faces, these are Ray Ban RX7017 frames that will add more definition. For those of you, who have triangular-shaped faces, you should opt for top-heavy Ray Ban RX7017 glasses with high temples such as these to bring about more of a balance.